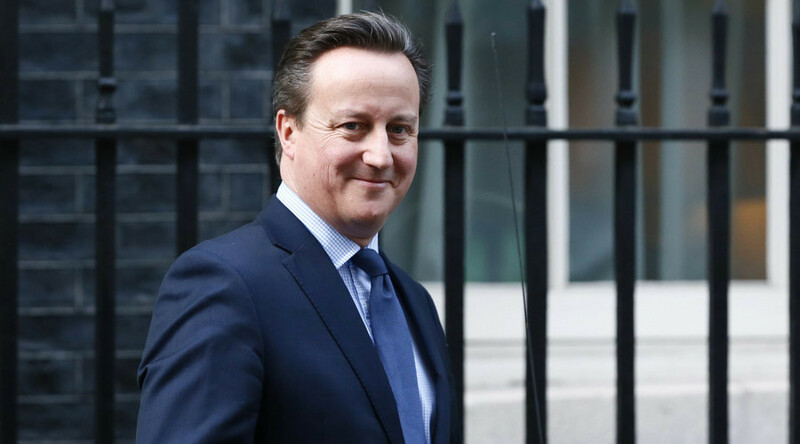 Sections of the British public have slammed their local media outlets for ignoring the fact Prime Minister David Cameron’s father was caught up in a massive data leak involving possible tax evasion. A huge leak of more than 11.5 million documents from a Panama-based law firm saw the British media jump to accuse President Vladimir Putin of corruption, despite the Russian president not being named in any of the papers. @BBCWorld Funny how the BBC choose to go after Putin when these leaks severely undermine the credibility of inter alia, the City? Putin’s photo popped up all over the British press. This has not been lost on people in the UK, who were scathing that so little attention was being paid to allegations that the prime minister’s father had been caught up in the alleged tax evasion scandal. “Cameron's dad [is] directly involved but [of] course our 'free press' will focus solely on the friend of an acquaintance of Putin,” Twitter user Luke Maddison wrote in reply to an article published by Sky News. @SkyNews Cameron's dad directly involved but if course our 'free press' will focus solely on the friend of an acquaintance of Putin. The Guardian newspaper broke the story in the UK and led with the headline: “The secret $2bn trail of deals that lead all the way to Putin,” complete with a picture of the Russian president. The irony is the Guardian put a story on David Cameron's crusade against tax havens right next to the article on Vladimir Putin, without even mentioning the fact that the leak revealed information about the PM's father. @guardiannews@palestininianpr Even Cameron has been linked but you lead with Putin. Getting tiresome. The tenuous link to Putin was through a personal acquaintance and the accusations made against the Russian president were noted by members of the public. “You state that Putin isn't listed yet you proceed to use his photo. Western anti-Putin propaganda machinery in full swing!” Mothibi Phosa II said, in reply to a Business Insider article on the topic. @businessinsider: You state that Putin isn't listed yet you proceed to use his photo. Western anti-Putin propaganda machinery in full swing! I like how the BBC has a whole article on Putin and Russian links but mentions nothing about David Cameron's dad. Cameron has said on many occasions that he wants to tackle money laundering and make sure no dirty money enters the UK. “I want Britain to be the most open country in the world for investment. But I want to ensure that all this money is clean money,” he said in July. The Independent and the Guardian did finally get around to publishing articles about Cameron’s father and senior Tories having offshore accounts to hide their wealth.